I ask every parent that walks into my office if they have any concerns about their child’s teeth. One of the most common concerns parents express is “My child grinds their teeth.” They often follow this up by saying “It is so bad it wakes me up at night.” Most parents report hearing their child grind their teeth at night. While grinding can occur both while awake or asleep, it is far more common to occur in children when they are asleep. Parents want to know if what their child is doing is normal and if it is causing any damage to their teeth. What exactly is tooth grinding? The clinical term for tooth grinding is Bruxism. Bruxism is defined as the “habitual nonfunctional and forceful contact between teeth which can occur while awake or asleep (paraphrased).” Basically, when your teeth are not being used to chew your food they should not be in contact. This applies for both children and adults. The phrase I like to remember is from dental school and it goes “lips together, teeth apart.” Take a minute and see if that describes the state of your teeth right now when you are just reading this blog post or at rest. It is important that you bring your child to a qualified pediatric dentist every six months so that they can do a comprehensive exam of your child’s teeth and mouth which includes looking for signs of wear. Pediatric dentist’s specialize in growth and development and the specific needs of children. Wear on your child’s teeth may be from grinding but it can also be from erosion caused by their diet or gastroesophageal reflux (GERD) so that is why it is important your child is receiving a comprehensive exam to determine all potential causes. 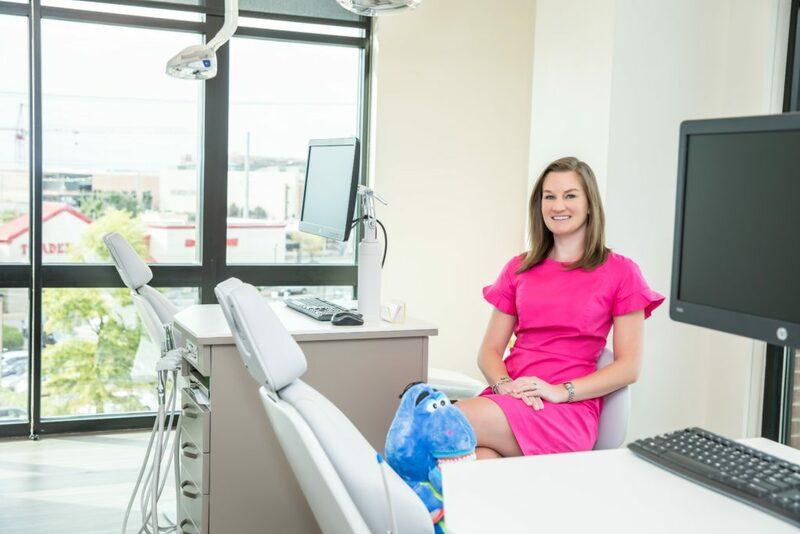 At our office, we will do a comprehensive exam of your child’s teeth and mouth and discuss with you your child’s diet as well as any symptoms they are experiencing. This evaluation will be repeated at every appointment as things can change from one visit to the next. This is why it is important to let us know if you have noticed any changes or if you have any new concerns so that we can be sure to address them. Long term problems from grinding? How do I stop my child from grinding? Depending on the cause of grinding the treatment will differ. For example, if it is related to emotional stress, a child psychologist may be needed to help your child cope with the underlying issues. Treatment can be anything from night guards, medication, psychological techniques to no treatment at all. According to the American Academy of Pediatric Dentistry “Evidence indicates that juvenile bruxism is self-limiting and does not persist in adults.” So, rest assured, grinding is like growing pains in children and more often than not it is self-limiting and they will outgrow it. While I know it can sound awful, most grinding is considered normal in children, it does not typically cause any damage to the teeth or side effects and does not indicated any underlying major medical condition. I hope this helps answer some of your questions regarding tooth grinding in children. If you have concerns about your child’s teeth then I encourage you to call or schedule an appointment online to bring them in to see me and I would be happy to help.